Happy Saturday! I hope you are all having a good start in the weekend! Today, as usual I would like to discuss a few things that I was wondering about for quite some time now! Regular Readers of the Bookworms might have seen some recent and minor changes here at the Bookworms which mainly concern layouts and such things. For more than 1.5 years now we had a Feature Slider plugin, to show off our recent post with nice, cute and catching images. I implemented this here because I love all things pretty and I love nice graphics. Back then, nearly no one had such a slider and I felt quite adventurous and trend setting. Now, many many blogs have such a slider and it became a quite popular feature on many blogs! Recently, I realized that our site became slower and on top of that I had to manage my time a little more carefully, so I decided to get rid of the Featured Slider. Do you (my dear Readers) actually care about a Featured Slider on a Blog, do you really click on them??? ….or is it something I just personally love ? So when I started wondering about this, I had a much closer look at my own “clicking” and Blog ” reading” behavior, and I realized that while I do like seeing them, I care much more about the topic itself! I not often really click on a featured slider on other blogs, I just read the post titles and then decide if I read the post or not. Also, I had a much closer look at blogs that attract me the most and often these are blogs which are not clustered and rather simpler in their layout. When there is a blog where there is a lot going on, I feel lees inclined to stay. I do not want to go into another Blog Design discussion, as we just had this a few weeks ago, and much rather want to talk to you about this extra gimmicks on a blog. I did love the images I created, but they also took a lot of time to design and I am just not sure if these are worth it!? My question now to you is, how much do you care about these extra gimmicks like a Feature Slider. Does this make a blog more or less attractive to you? Do you actually click on a feature slider image?? 3D covers, special sidebar widgets? Tell me – I’d LOVE to know!! « My Friday Love – Young Adult eBook Deals – and some random surprises! Well . . . I like looking at the sides buttons but as far as clicking on them? It would depends, sometimes blogger links the button to what they feature or I’m looking for something. I realized myself that only I ever do is look at them, it’s not very often I truly click on these to get to a post. To be completely honest, I hardly ever notice if there is a feature slider in the first place, haha. I read basically every post on the blogs I follow anyway, so they’re kinda useless to me. Hehe!!! that was what I was thinking. If people follow a blog regularly they probably won’t care about such Featured Images … Thanks for your feedback! I’ve been debating about getting a slider but you just made me realize I have never even clicked on one. Load time would be more important to me and you are right simpler blogs appeal to me more. Great post Danny! Ah See ?!?!? That is exactly what I was doing during the last weeks and I realized myself that I rarely click on them, so I wondered why have them in the first place. I mean, of course the look cute and nice but if it doesn’t attract more readers or more pageviews it seems useless right? It’s just more work, I#d rather spend reading or writing reviews. A featured Slider is a widget which usually is right below the header and there you can see images of the recent posts. I think feature sliders are great for promoting your posts on your blog and particularly some of the features you have but for me, I don’t really notice feature sliders normally. I’ll simply scroll down to see the blog posts immediately. Charlotte @ Gypsy Reviews recently posted..Life of a Blogger: Where Are All the Comments? Yes and that was my initial thought – I was hoping to attract readers to other posts they might have missed. but then, if people do not really click on them it seems pointless in the end to have one. These images do make a lot of work in the end.. I love you Mary and THANKs for saying that you love them. But… does not having them make my blog less attractive to you? And I was really concerned about our page load recently so I needed to spend it up and one point was to get rid of a featured slider… I just hope it was the right decision! I totally agree with you that while I think they are really pretty, as are the sidebar widgets, I usually just look at them, but rarely click on them, choosing, to just scroll down the block and click on the posts I would like to read. I never considered the way they slow things down. Great post. I couldn’t more agree with everything you said here. I love the feature sliders for their visual appeal but in my own habits, I read what I want to and rarely click those images on the sliders. I used to spend a lot of time creating good looking images for my slider. And lots of money because I wanted the best fonts and the best image editing program. That money could have been used for more books! So when I revitalized my blog within the last month, I chose to exclude it. And, to be honest, it hasn’t really had a foreseen effect on traffic. I still get the occasional visit to older posts and it definitely declutters my blog. All around, I really liked the images you all had for Bewitched Bookworms, but I understand the reasons for no longer using them. As far as gimmicks are concerned, I don’t want to be sold on reading a blog because it’s flashy. I want to be sold on reading and investing precious reading time on a blog that has great stuff to say. Gosh your comment really made my day because I feel like I truly did the right things with shutting it down. I was a little sad, because yes I do love making them and I do love looking at them and showig them off – but in the end, what value do I get out of it? Probably not much. It’s been more than a week since I shut down my slider and there is no difference in my pageviews at all. I want people to come here because of the content we put up and not because I make cute images. And you mentioned money and time and I wholeheartly agree! How much time I spend on these images to make them perfect or hunted down a certain font! Thanks for your wonderful comment! ! All though I think the sliders can be nicely done, I usually tend to like blogs with clean layouts. I do adore gazing at images in posts though! What I really like ( but don’t have yet) is the simple widget that usually resides in the sidebar showcasing the most recent/previous months book reviews ( images ). I love that because if I missed a great book review recently I can just click away. LOL. yes I’d love such a widget too.. right now I just have a list of my recent reviews and I think it is a great widget for people who might have missed reviews they might be interested in! I’ve never noticed them, mainly because I get your posts via email. Only if I click on the blog to comment do I see them, and then I don’t pay attention to them. I personally love the slider option… for one, the images are pretty (when done well), and for two, it’s a good way for a blog to showcase their top posts. In my slider (when it’s actually updated), I pick posts that I want to get more attention. It’s a good way to find a post on someone’s blog that you may not have seen otherwise. Jessi @ Auntie Spinelli Reads recently posted..Happy Birthday Jessi!!! Ah Jessi!!!! You are finally someone who actually really and truly pays attention to these sliders and it makes me happy that my work was not a total waste! Hehe I constantly change my blog – it’s been more than 3.5 hrs now and I so often change my blog and try to improve when I can. I like them, I mean I liked yours because it was pretty. You just made all those images so beautiful! But I never click them and I just see them as I pass by so I don’t look for long. It’s probably not worth all the time you put in because I didn’t actually notice when it was gone (my bad!). And you still put in all your special touches to your posts themselves, so I don’t think it’s really necessary. Also, like you said, it slows down the blog loading and yours (sad to say) was actually very slow loading for me. I have actually got in the mode where I comment then click over to a different window while my comment loads. It was never a huge issue for me, but something I noticed. I’ll have to see if it loads my comment faster today. Candace recently posted..Saturday Situation~ Link Up Your Reviews & Giveaway’s! Oh woo hoo! My comment loaded speedy quick! Haha!!! See! My few changes really helped!! I’m so happy the blog loads faster now!!! Thanks Candace and I’ll adding my little touches but won’t really bother with making the perfect featured image any more. Specially since nearly no one clicked on it anyway. Great topic, Danny! I’ve been wondering about the featured slider things, too. It’s weird because on book blogs, I generally don’t pay attention to them. Actually, for any blog I subscribe to, I don’t pay attention tot hem, because I’m usually visiting to read a specific post. But on other kinds of websites that aren’t necessarily blog, I tend to look at them more. To be honest, when I visit a blog, I just want to see the posts laid out like one would expect to see on a blog. When the front page has all kinda of categories like “recent review” and “latest whatever” and I can’t figure out where to just see their most recent post(s), it drives me crazy! Anyway, um… Aside from that. I really do like the look oft he featured images, though! I used them on my blog and I like that they give each post a unique identifier. I just don’t put them in a slider. Shrug. I think you have a very valid and perfect point here. I also mostly visit the posts directly and therefore mist most sliders anyway!! And I think I will do the same – I might still do the accossional image for a post but then, only pimp my post with it:) Less pressure than having one every time! 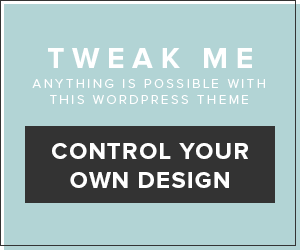 When I started a blog back in May 2010 with a WP theme Creativix, it had a slider for each of the posts. I spent hours creating each image and I’m not talented like you are. I gave up on that blog after a couple of months. So all of you who have done those featured sliders, wow! But in truth, all those extra gimmicks, while they do make things look very professional, they take away from the content. And they appear, in my mind, more like professional websites than blogs. I read blogs for the content, not for all the extras. And as movement on a blog distracts me, I actually spend less time on blogs with featured sliders unless I can scroll below and have them leave the page. And these days with them becoming a part of so many blog themes, they aren’t as original. Everyone has jumped on the bandwagon. And while some may not be as good at creating those images/designs as you are, it has lost its originality. For a tour blog or a design blog they really work as it showcases very specific things. But more and more I’m gravitating toward blogs that have fewer bells and whistles. But I’m not necessarily in the majority. And as far as the featured images, I’d spend more time ogling them if they were static in a post or in a sidebar than if they were constantly moving in a featured slider. Great post topic and I love your design work! It takes sooo much time right to do these images right??!! I mean I usually spend hours just formating a post and this included doing the images. And I perfectly agree – they make total sense for proffesional websites – but for us Book Bloggers where we post every day and sometimes even more having to keep up makes no real sense to me anymore. And again, when I started it was brand new and I felt like a little trendsetter (at leas in my mind lol) – now, it’s everywhere and the originality is gone. I think many people feel like you Rachel and I am one of them – I realized I am more drawn to clean and less clustered blogs and I realized that my blog is not like the blogs I love to read – so I needed to revaluate. Thanks Rachel for stopping by and leaving such a thoughtful comment! I have clicked through image sliders before. Usually it happens on NEW blogs I visit. If I see an interesting image, I might click through it. I rarely do that with blogs I subscribe to though. For example, with you I have an e-mail subscription so I always just click on the latest post. It’s rare that I visit your homepage because I always just go straight to the post. That is a very great point Ashley, usually such a silder attracts new readers because mostly the constant readers just come by to read special posts. See, that is why I feelt my Landing page was not really needed anymore and so thank you so much for your help!! ! I have to honestly say out of ALL the sliders I’ve ever seen (and you’re right they are EVERYWHERE now) that yours was the most well done and most awesome looking! Personally, now that I think about it, I don’t click on them unless it is a topic or a book that catches my eye and piques my interest. So on that front, even though I LOVE the eye candy, it’s the post topic that gets me to click for more. I can definitely understand needing to cut out something to carve more time for yourself and other things you want to do – I can’t imagine how much time those must’ve taken to put together. And especially since you’re right, they’re only up for a week at the most and then you’ve got to do it all over again. Ahhhhhh April “hugs and blushes* Thank you so much, your comment totally made my day!! I’m seeing sliders everywhere now too, though I’ve never really been too interested in getting one myself. And gosh, I hadn’t realised before, but I NEVER click on slider images. O_O I think they can look quite good if they are fluid and the graphics are of a high resolution (yours was one of my favourites! ), but most of the time, I end up ignoring them. I’m far more likely to check out posts in a recent posts sidebar list or a related posts footer. *giggles* see Sam??? What is the point in having such a slider if no one clicks on them and .. for some reason I never thought about when I had this slider until recently. And then… when no one clicks, why not just leave it out completely. So yes, I think it was the right decision leaving ti behind! For a while I was wondering what a feature slider was, so glad to see the explanation in the comments. I rarely click on them. They are above the post, and since I usually get to a blog via a post I want to read – I scroll past it to read the post. Then when I’m done, if I want to look around, I look at the sidebar for the recent posts, and at the home page. I’m so happy for your feedback Tanya as it makes me feel so much better about my decision. I really loved my slider but .. I do not think it really adds value to my blog! One thing to note is that you can install your slider so that it ONLY loads on the home page, but not if you go to a direct post link – so that way it removes the distraction aspect since most people will click to read a post, and your links via feed, bloglovin or twitter, goes direct to the post. Those who do go to your home page are often those who did not just “happen upon your tweet” etc and actually want to see the blog as a whole – gimmicks included. With that said, I don’t think NOT having a slider makes any less attractive. I think your images were very well designed and I loved seeing them, but you also have similar images in your reviews, right? So we still get to see your awesome talents for designing them. You also have the 3D images which I find adds originality and professionalism the same as a slider would. Plus the blog loading quicker (it was the same for me but my comp is brand new) is definitely an advantage to removing it. Yes, I also had the Slider only on my homepage that is imperative for me as I do not want to be distracted when reading a post!! YEAH for the loading time !! woot! I honestly didn’t know that those had a name! I’ve always loved looking at the sliders when a blog has them, but I seriously didn’t realize that you could click on them to link to a specific post… I feel so blonde right now… I did enjoy looking at them though! They’re always so pretty and interesting and I do read what they say which has prompted me to go check out a book before… but I suppose it can be a little much. Sometimes I get so distracted by looking at all of the features sliding by that I forget to go down and read the actual posts until much later. I also enjoy a simpler blog design, but if the layout is simple enough then some blogs can pull the slider off. If the blog is already super filled with things, then I would say no. Your blog could handle it! (LOVE the new design by the way, simple gorgeous). So if you truly love making them, then I say do it once in a while… maybe you could only do your favorites from the month and add to it as the month goes on so that they can stay up longer?? It just depends on how much they mean to you; if it’s worth it. For me personally, I prefer simple and clean blogs. I think the way you have your blog is a lot more cohesive and user friendly. Plus I never clicked on the slider images, I just thought they were there to look pretty haha. I never actually paid attention to sliders. I used to have one and thought that it was awesome till I paid attention to stats and realised, it wasn’t really doing much so I got rid of it. I’ve gotten more hits since. I do love the way featured sliders look, but I can definitely see how much work they would be to maintain! And if they aren’t doing any good, then it doesn’t seem worth the effort. They do make load times slower. I’m hardly ever on the front page long enough to watch the whole thing slide by. I do love the graphics you do but I feel the time is better invested in ones that are going to hand around on the sidebar longer than just a week. I rarely ever click on them from a slider – personally I don’t think many sites do the slider well. Yours was one of the only sites I felt did it well. I don’t know of any other little gimmicks that come to mind – I’d rather have the load time be quick for me since I jump around to a lot of blogs. I hate over cluttered sidebars and the “read more” feature. I generally read the blogs that are on my RSS feeder. So I usually wouldn’t even notice a feature slider. It looks nice though. When I’m finding new blogs, I am indeed attracted to blogs with things like feature sliders. Not because I care that much about feature sliders but it’s one of the things that makes a blog look more professional. Julia @ That Hapa Chick recently posted..NEW CATCHING FIRE TRAILER!!!! Book Bloggery Week-in-Review (17) | Oh, the Books!